With a little cracked pepper to season it up just right … salad dressing and the rock, we had lunch! Afterwards, we showed the photo to the person who mailed the rocks to me in the first place. 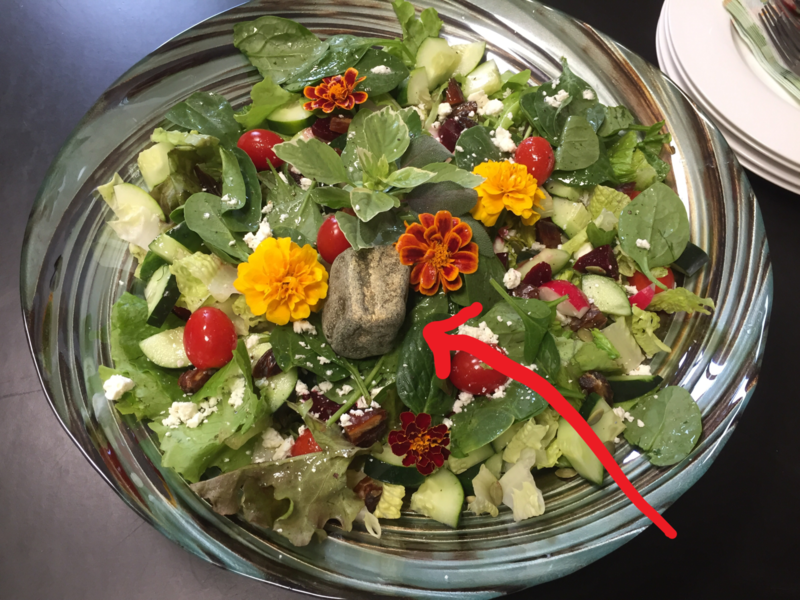 He said, “It may be the prettiest salad I’ve ever seen!” I know you are wondering, but unfortunately, the rock was too hard to cut, as rocks often are. 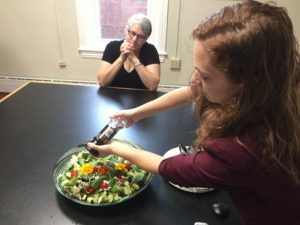 So now it must serve as our reusable salads rock at CoWork 414 … because our salads do rock at CoWork 414!